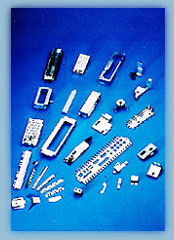 Progress Tools Pte Ltd was established in 1991 and is one of the leading manufacturers of precision toolings and metal stamping parts providing vital support to the computer, printer, telecommunication electronics, electrical and many other precision industries. Progress Tools offers design engineering and customised toolings and stampings for a wide range of precision products and undertakes the entire production process from design consultancy to precision tool making and finally mass production. With a team of highly dedicated and committed personnel, our corporate philosophy is to provide uncompromising standards of excellence and reputation for quality and reliability in our products and we take challenge to satisfy our customers’ toughest requirements. Our commitment is to grow with our customers and progress together in a new era of advanced technology. We are technically competent to provide total solutions to our customers and have continuously invested in modern machinery and equipment to improve on its product quality, productivity and service to meet challenges of the future and the needs of our customers. 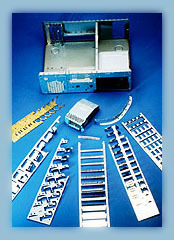 Precision Metal Stamping Parts for industries in Electronics, Computer & Peripherals, Telecommunications, Automobile Accessories and Home Appliances. Power Press Machines (45-ton, 80-ton, 110-ton, 200-ton & 250-ton) with NC Feeders.